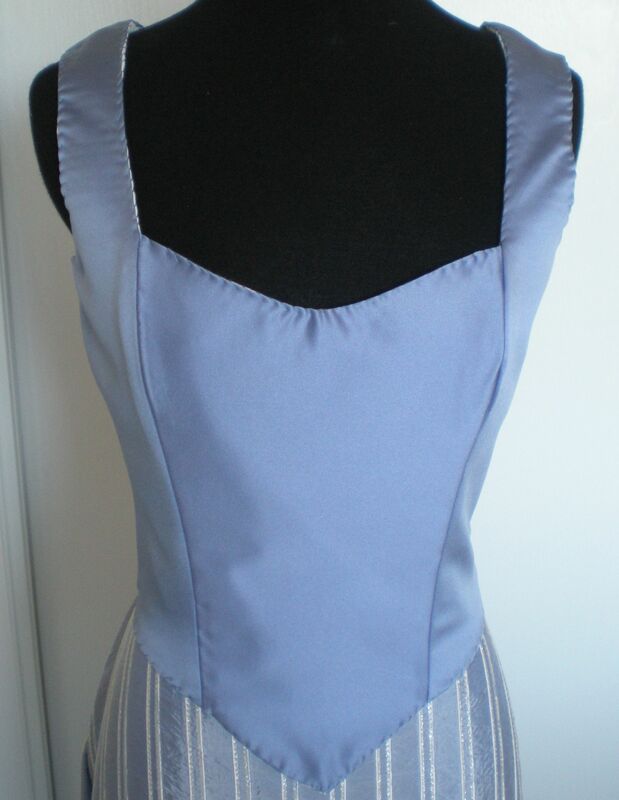 I have some little tweaks to do but the bodice is nearly complete! As usual, I underestimated the amount of hand-sewing required. I also have some smoothing to do; I’m not entirely pleased with the little puckers. For more construction details, peek inside. 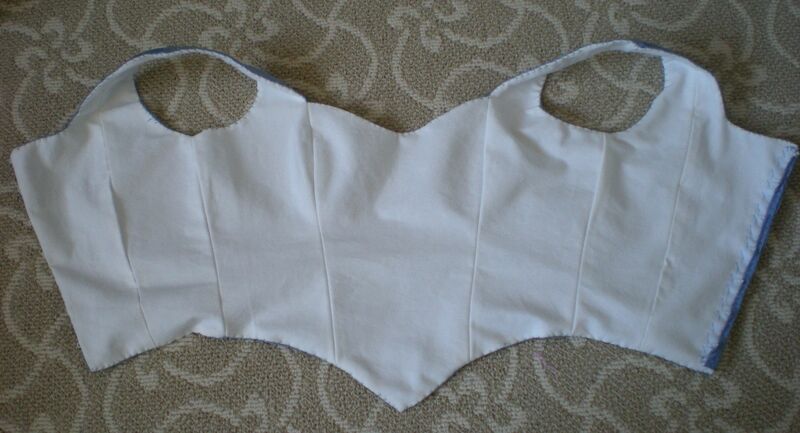 Here is a picture of the bodice base, before any embellishment was added. I am a little nutty about wanting the insides to look neat as well, without exposed edges, even though once the appliques and lace go in, there will be black stitches showing everywhere. The back has hook-and-eye tape. The strip with the eyes is tucked in between the top and lining. I was originally going to do the same with the hooks, but realized that if I need to make alterations it would be easier to have the strip on the surface of the lining. I tacked it on quickly, then realized I wanted to bind one of the edges with satin so I wouldn’t see a white edge on the closure. 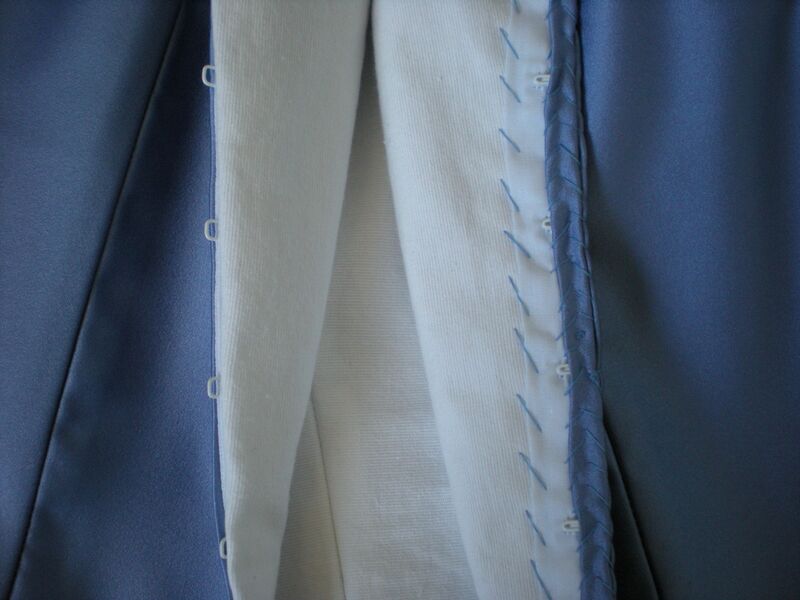 So I had to unpick the stitches down one side, and sew on the binding. So much for neatness on the inside! 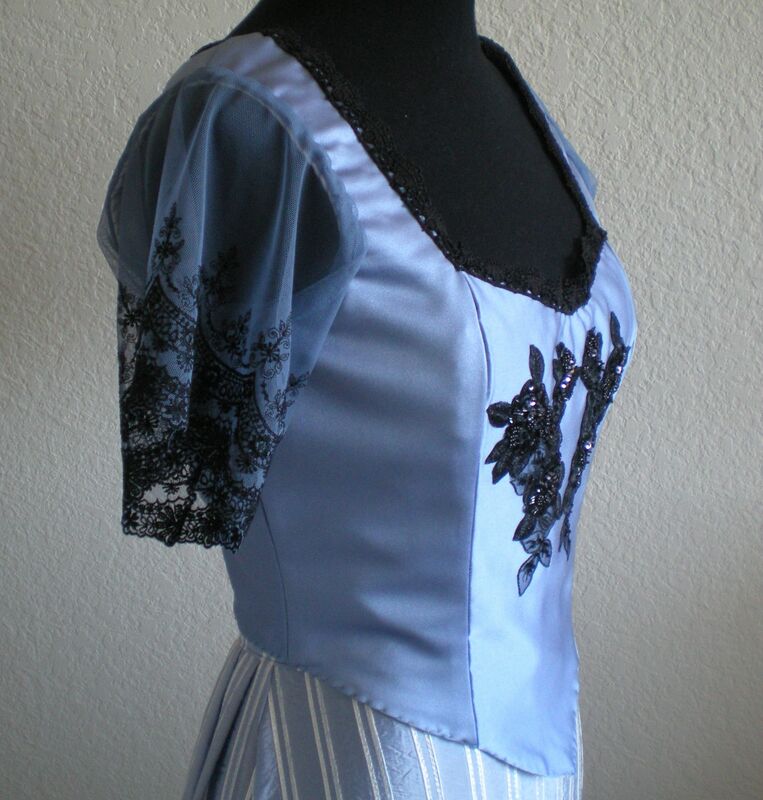 The lace on the neckline is a remnant from my stash – I had just enough! 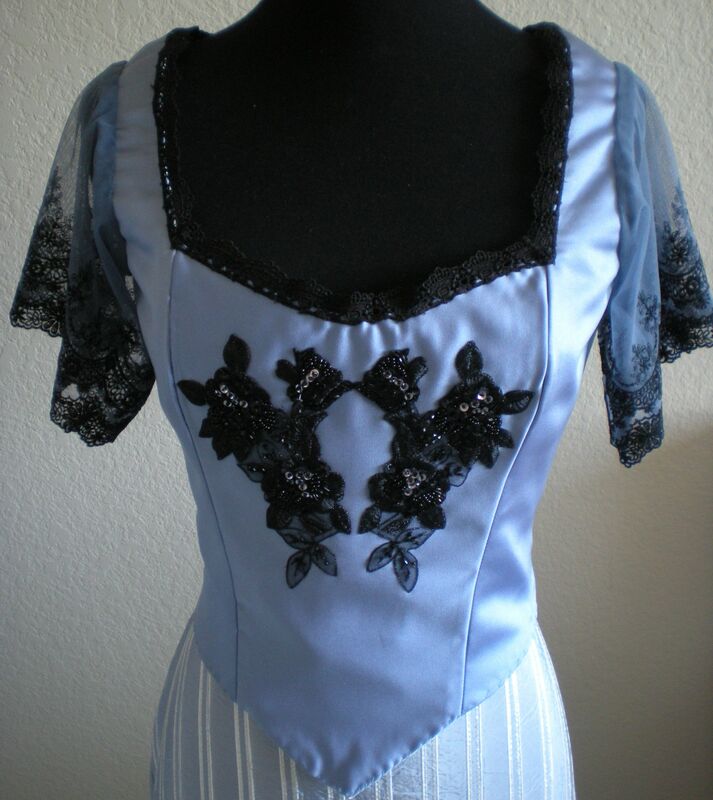 The pair of bodice appliques and sleeve lace was purchased for this project. Of course, for all three of those items I hand-sewed, then unpicked, then re-sewed because I wasn’t entirely happy with the initial placement. (I have been burning through a lot of Netflix hours). Next up, working on the skirt. Posted in Gibson Girl and tagged costume, gibson girl, sewing. Bookmark the permalink.